The so-called "Andromeda" project has been popping up in the news since last year but information is rather scarce. Now, a leaked email along with some new APIs found in Windows 10's latest preview gives us a bit more to speculate about. The Andromeda Surface Phone isn't going to be just a "phone." 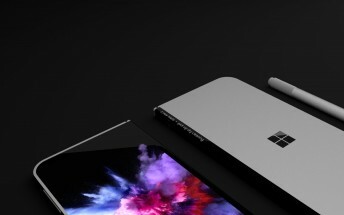 It's going to be a "pocketable device" following the steps of Microsoft's successful Surface line of laptops with flexible hinges. It aims to be in a class of its own due to its unique form factor and yes, we are talking about a foldable handset. The API allows applications to adjust their interface and functionality depending on the hinge's position. The code reads: closed, concave, convex, flat and full. 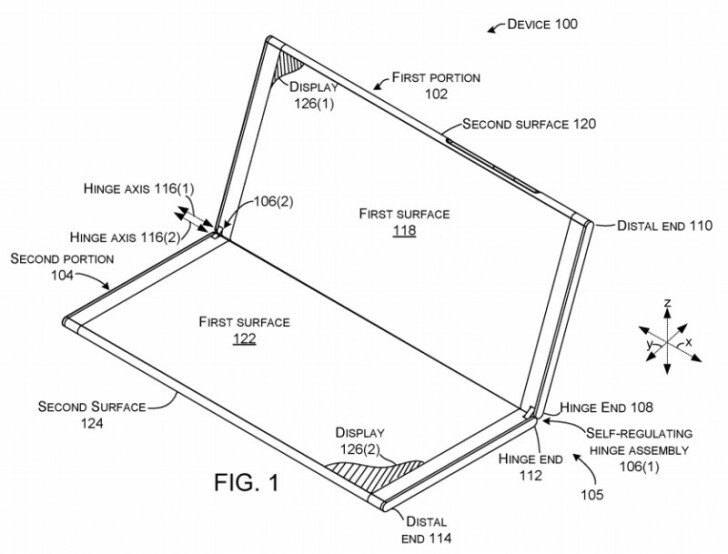 And we can also expect stylus pen support like the rest of the Surface devices. But unlike its bigger siblings, the hinge can go all the way up to 360 degrees allowing for enhanced functionality when fully opened or fully closed. Based on the patented filings from before and Microsoft's leaked email, a Twitter user has published some detailed renders of how the Surface Phone might look like. In most recent news, Panos Panay - Surface chief - posted a photo on Twitter of him and a caricature of him - a gift from LG. Seemingly, the two pictures are attached to a two-piece, hinged photo frame, resembling the Surface Phone in tablet mode, when fully extended. This could be an indication that LG will be producing the displays, or we are just looking for something that isn't there. Anyway, we can expect the Surface Phone later this year, running Windows 10 and powered by Qualcomm's upcoming Snapdragon 850. But the real question remains: is Windows 10's ecosystem good enough to deliver an adequate mobile experience? We hope to find out soon enough, because the Andromeda project does sound exciting.